Combine the yoghurt, water, tahini and lemon juice in a small bowl. Taste and season with pepper. Cook the pasta in a large saucepan of salted boiling water following packet directions or until al dente. Drain. Refresh under cold running water. Drain well. Transfer to a large bowl. Add the cucumber, tomato, avocado, onion and yoghurt mixture, and gently toss to combine. 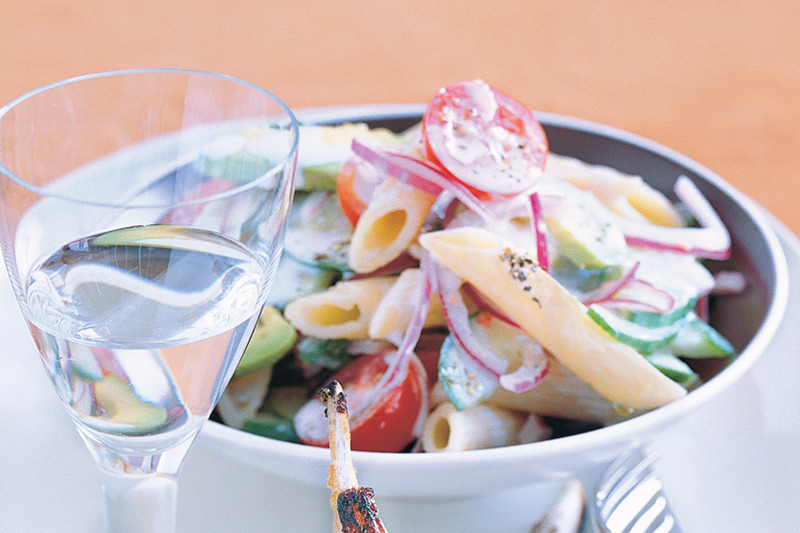 Divide the pasta salad among serving bowls and serve with spice-crusted lamb cutlets.